- Allows for Immediate, On Demand Decanting for Enhanced Flavor. 7 Adjustable Levels With 3 Stage Aeration Process for Both Red and White Wines. No More Waiting As Each Level Represents Approximately 1 Hour of Decanting. Brings Out the Best Aromas and Flavors of All Wines Whether Young or Old, Inexpensive or Top of the Line. Stylish Stainless Steel Accent Ring with Travel Pouch And Drip Stand Included. Top Grade BPA Free FDA Certified Acrylic and Stainless Steel. Money Back Guarantee. Your Satisfaction is Our Number 1 Priority. What Does Wine Aearation Mean? A winemaker uses an airtight seal in order to keep the wine in its intended state. Over time, the tannins break down developing a smoother more drinkable wine, which is the main reason older wines are more expensive and become prize possessions for collectors. 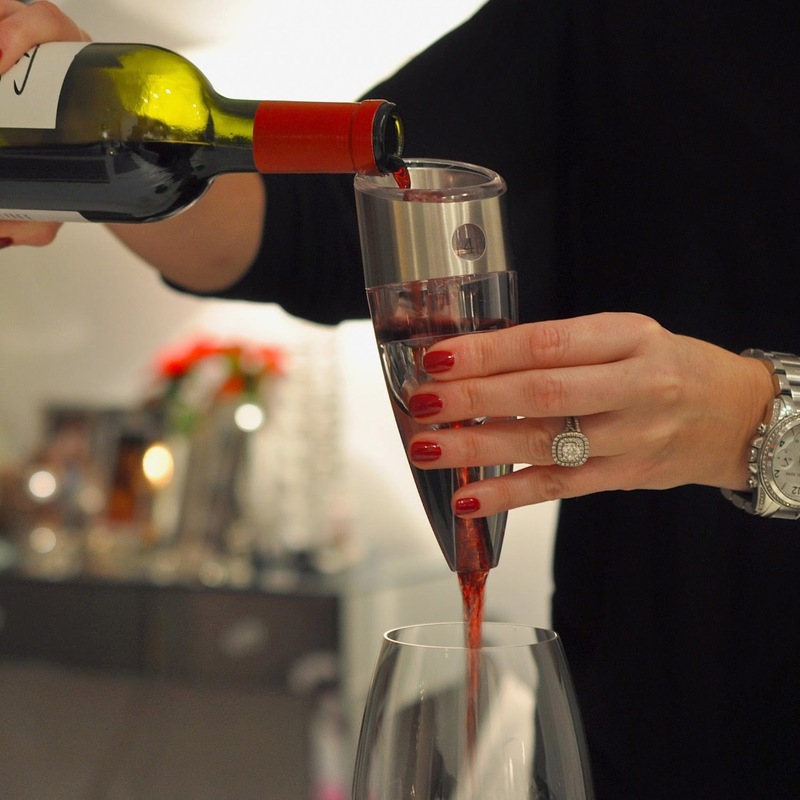 Aerating replicates this aging process, allowing for a smoother more delicious wine in only a few seconds. 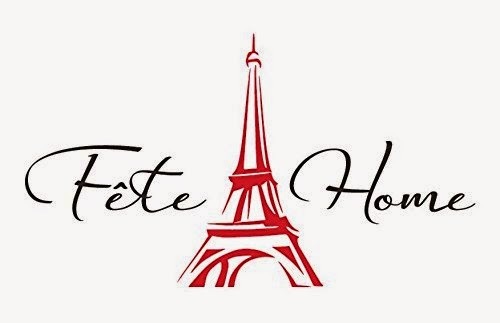 I was so happy to get to try Fete Home Adjustable Wine Aerator. 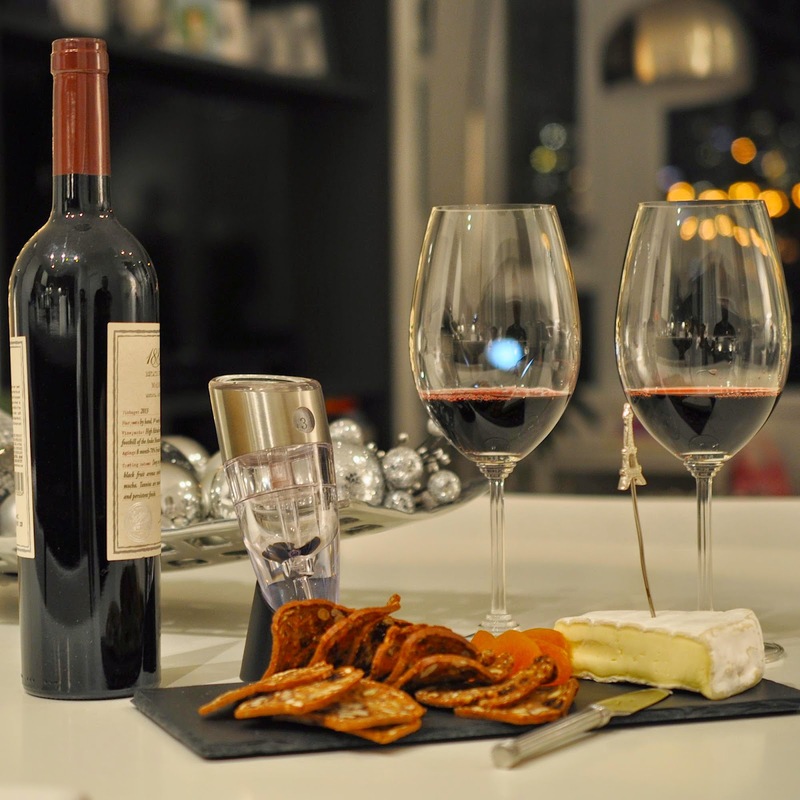 I am not known to buy expensive wine but I do love a nice glass of wine with dinner or after dinner just chillin' out after the days activities are done. This wine aerator has made my favorite wine taste even better. I have no idea how it does it but I can definitely tell the difference. This is a very nice tool to have in your kitchen or home bar. I like that it comes with its own stand and it is easy to use. 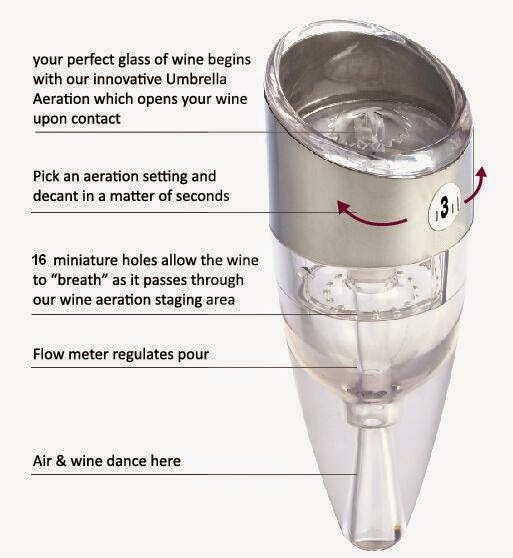 I had no idea so much sediment was in wine, but I sure like that this aerator filters it out. This is one of those items you did not know you needed until after you tried it! I recommend it!